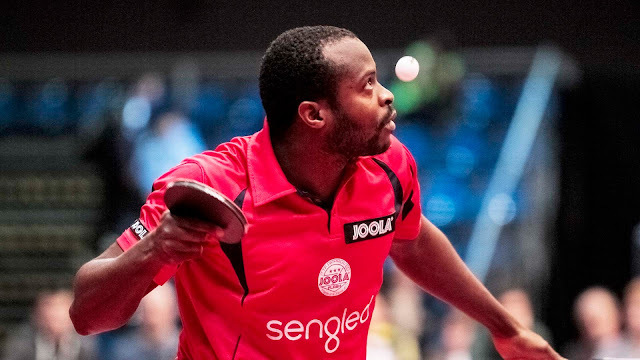 Against all odds, Abiodun defeated compatriot and top seed, Quadri in six games (11-9, 7-11, 11-5, 12-10, 9-11, 11-9) to reserve his place in the last eight. Earlier in the year, he came third in the group behind Frenchman Andrieu Landrieu and the Slovak Republic’s Jakub Figel at the Seamaster 2017 ITTF World Tour Hungarian Open in Budapest in January. That was his only international competition prior to the Lagos Open. Presently Bode Abiodun has no world ranking, his most recent position being no.200 earlier this year in May, a listing which enabled him to occupy the no.9 seeded position in Lagos. The highest of his career was in October 2010 when he was named at no.126. Conversely, Quadri Aruna presently stands at no.29, having been at no.25 from September 2016 to earlier this year in January.